Home / Lance Roberts Real Investment Advice / Technically Speaking: Do You Really Want To Be Out? We are almost to our goal…don’t miss out! We recently launched a beta version of our new Financial Health App backed by the power and security of Yodlee, AWS, ForgeRock, and Intrinio. Try it out and give us feedback as to what features you would like to have. Don’t worry, we won’t ever share your information with anyone…ever. That was a comment made several times last week with respect to the markets stellar first quarter performance. “The S&P 500 is on track for its best quarter in a decade, up roughly 12 percent. And if history is any indication, the index could be set for more gains for the rest of the year. So, back to our question, why would you want to be out of the market? 1986 – Reagan passes massive tax reform which boost stocks into 1987. 1987 – The market crashes. 1991 – The market rallies sharply coming out of recession. 2012 – QE from the Fed boost stocks early in the year and Operation Twist supports asset prices through the end of the year. 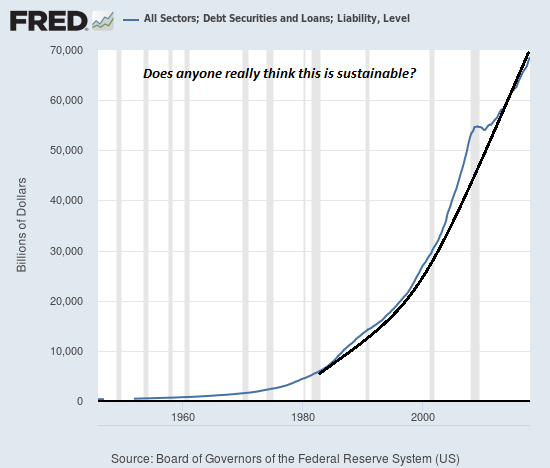 Balance sheet continues to expand with interest rates at ZERO. 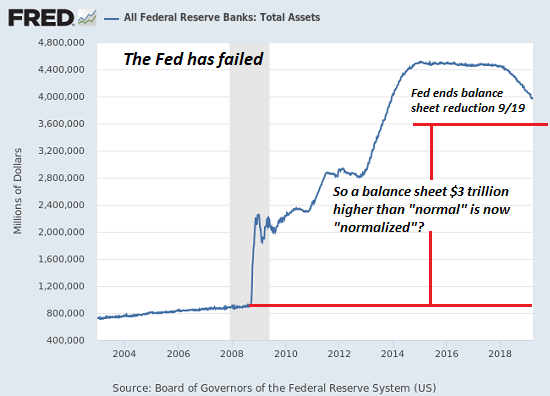 2013 – In the wake of the “Fiscal Cliff” the Fed launches QE-3 to offset the risk of a government contraction in spending which turns out not to be a problem. Stocks soar on a flood of liquidity. 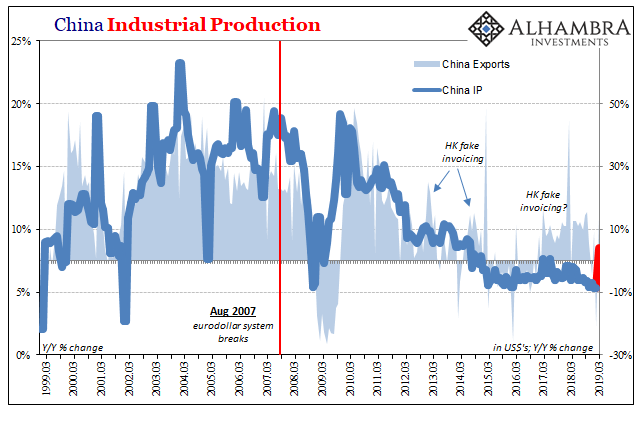 As I have notated on the chart below, it is important to compare the context behind historical market actions rather than just making a blanket assumption. The year finished lower by over 4%. So, basing investment decisions solely on previous price action without the relevant context and can lead to poor outcomes. While it is certainly hopeful that a strong first quarter will lead to further gains for the rest of the year, the current macro backdrop is not nearly as supportive as it was previously. Rates are no longer zero. Liquidity is still being extracted through September and will stabilize, not increase. Economic growth is no longer-strengthening. Valuations are no longer reasonable and rising, but excessively valued. Inflation and interest rates are no longer falling. Yes, this current test of the “recession” warning line could turn out to be another 2012 or 2015-16 event, but as noted above, the Fed is no longer directly engaged in supplying liquidity and the Fed Funds rate is no longer zero. For investors, while the first quarter of the year was a massively strong reflex rally from the lows, the risk of expecting asset prices to continue to rise unabated may prove disappointing. This is particularly the case as the factors which drove that first quarter performance are unlikely to repeat in the months ahead. The White House surprised the markets with statements a “Trade Deal” was near. Oil prices had declined to lows, were oversold, and prime for a rally. The Fed has more room to disappoint than not with future announcements. While many are expecting a rate ease later this year, such is unlikely to happen before data materially worsens. Oil prices are overbought and extended to the upside. “Often, the gains pause as investors grow wary that prices have risen too high, or concerned that the expectations driving the rally won’t pan out. Some investors tend to lock in profits after a particularly good quarter, pushing markets lower. Such is really a personal choice, but as I stated earlier this year, there is a very high probability the bulk of the gains for this year have already been made. However, the emotions of “greed” and “fear” are extremely powerful forces which consistently lead to poor outcomes over longer-term periods. As Michael Lebowitz and I discussed in our VideoCast last week, there is a time to be a contrarian and Howard Marks, the head of Oaktree Capital Management, just recently sold his entire firm. Howard is the ultimate contrarian investor and the message should not be readily dismissed. This was the same message Sam Zell sent when he sold EQ Office to Blackstone Group in 2006 for $36 billion in the largest leveraged buyout in history at the time. Or, just as timely was when Bobby Shackouls, the CEO of Burlington Resources, sold to Conoco Phillips. Both occurred just prior to the “Financial Crisis” and the crash in oil prices. Were they just lucky, or did they see something the rest of us didn’t? While hindsight is pretty clear about what happens given the current environment of weak economic and profit growth, combined with high valuations, and deteriorating technical underpinnings, the ultimate outcome could take months to develop. And because a warning doesn’t immediately translate into a negative consequence, it is quickly dismissed. It is akin to constantly running red lights and never getting into an accident. We begin to think we are skilled at running red lights, rather than just being lucky. Eventually, the luck will run out. Just for the record, we aren’t “out” either. But if you are waiting for someone to tell you the recession has officially started, it really won’t matter much anyway.